We live in a world where it is socially acceptable for the most educated adults to admit to being “bad” at mathematics or “not a math person.” That same person could not easily get away with considering themselves “bad” at reading or “not a reading person.” What does it mean to most people to be a math person? Changing the misconception of math people - parent attitudes towards math completely help shape their children’s attitudes towards mathematics. If parents are communicating to their children that they cannot complete the work because they are “bad” at math, children are going to in turn believe the same can be said for them. Society makes it acceptable to be “bad” at math because so many people believe math ability is only an innate thing. Teaching parents that students have the ability to learn math through hard, consistent work can help to dispel this myth of math inability within children. Customized, Individualized Learning - The approaches to mathematical learning have to change with the 21st century. Technology has allowed for more customized and individualized learning opportunities for students. Learning mathematics requires a solid foundation of concepts, but not all students learn at the same pace or in the same way. Allowing for more individualized, customized learning can provide students with the opportunity to learn foundational concepts within their own timeframe. Project Based Learning - Often many students feel they are “bad” at math simply because they find no enjoyment in the subject. Students dislike the content because teachers are not providing an engaging and exciting learning environment for them. The information is taught in a rigid way that focuses on memorization for the purpose of regurgitation rather than learning for critical thinking, analytical thinking, and real world applications. Educators should introduce project based learning as a tool for engaging students in mathematics in a new way. Project based learning allows students to work together in small groups to solve a problem related to a specific mathematical topic they are learning. It is a collaborative approach that teaches students problem solving skills, in addition to the math skills necessary for the task. Despite societal norms, being “bad” at math is a myth. Mathematical knowledge and fluency is equally as important as reading or writing. 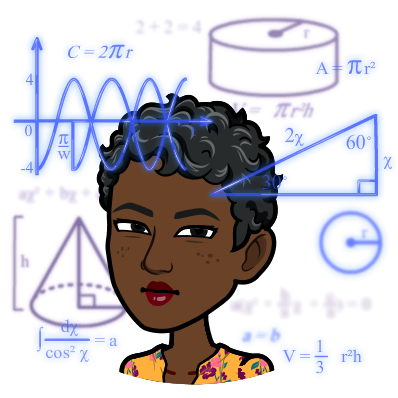 The introduction of new pedagogy, teaching methods, and changing the overall misconception of math people can aid in the pursuit of increasing mathematical fluency in students. Math can be seen across the world daily and educators should be providing students with access to those experiences and knowledge.